Queenstown might not be the biggest or most populous town of New Zealand, but it is certainly popular in the eyes of tourists thanks to its beautiful location and excellent resorts and hospitality. The town is built around an inlet called Queenstown Bay on Lake Wakatipu, a long thin Z-shaped lake formed by glacial processes, and has spectacular views of nearby mountains. Extreme sport enthusiasts also come here often, as the amount of activities one can do here is amazing. Skiing, snowboarding, jet boating, whitewater rafting, bungee jumping, mountain biking, skateboarding, tramping, paragliding, sky diving and fly fishing are all popular, and the list doesn’t end here. There are also different festivals throughout the year, which draw in even more people. If this suits your interests, then check out our list of the top 20 things to do in Queenstown. The Skyline Gondola of Queenstown can be reached from the town, or the other way around by climbing Bob’s Peak and reaching the observation deck there. Either way, the view from up there is incredibly beautiful. You can see central Queenstown, The Remarkables and Coronet Peak, and if you happen to come during lunchtime you can also try the restaurant or the bar there. Coming up here is definitely one of the best things to do in Queenstown, so make sure to spend some time here. With such a fitting name, The Remarkables are a mountain range located near Queenstown, always visible as a wonderful backdrop. If you happen to like skiing and other winter sports then this is one of the places to go, but just hiking here and seeing the view from up there is enough to satisfy everyone. 47 ski and snowboard trails and three terrain parks are available here, including lessons for those who haven’t tried skiing yet, or just want to practice beforehand. Lake Alta is found in the The Remarkables. The glacial lake is approximately 500 metres by 250 metres in size and freezes over in the winter months, making it very popular among those who like iceskating. Another popular activity here ice diving, which is held every year. We don’t advise trying it out, however, as the freezing cold water isn’t for everyone of course. Even if you don’t want to try sports here, you can just take a walk around the lake, which makes for a pleasant experience. 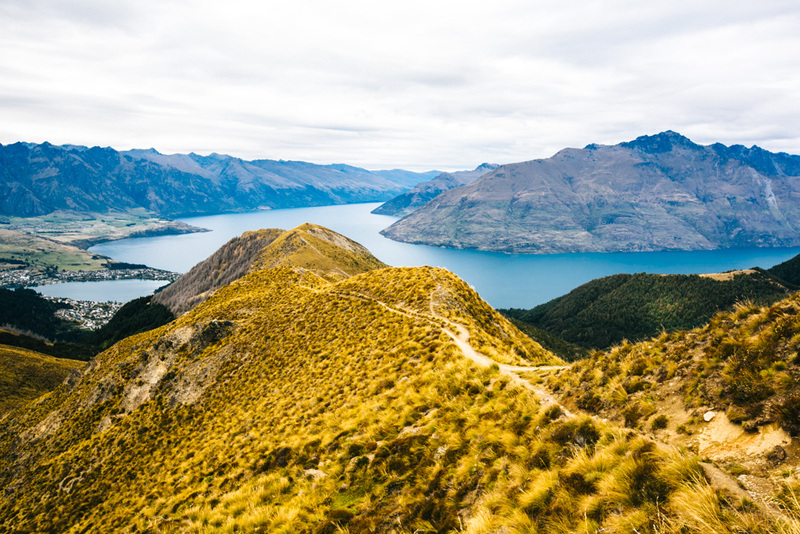 If you didn’t find The Remarkables enough to satisfy your need for breathtaking views and beautiful mountains, then the Coronet Peak is a another must-see for you. 32 slopes, two terrain parks, a tubing park and even a ski school await visitors here. Those who want to ski, snowboard or just play around in snow with their children can perfectly do so here. Hiking is of course also an option here as well if you come during the summer or just don’t care about winter sports that much. As a place with many mountains and high bridges, bungee jumping is one of the most popular activities here in Queenstown and its region. Even those who are afraid of heights often try to put aside their fear and give into the thrilling experience of this exciting activity. There are several spots throughout the region, including bridges and ledges like the one atop Bob’s Peak which you can reach by the Skyline Gondola. The Onsen Hot Pools are the perfect way to relax after a long day of excursions and sightseeing. 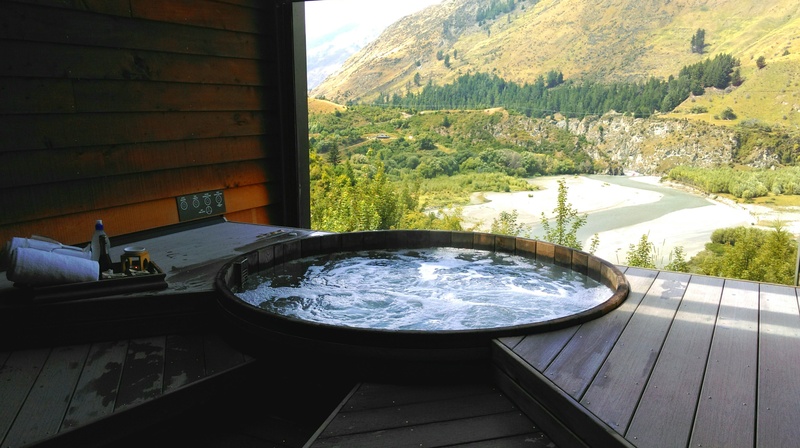 These hot pools and the baths inside and outside provide excellent views of the region while allowing you to enjoy the hot water. Your loved one and your family can also join you as these are of course not made for single use alone. A trip to New Zealand wouldn’t be complete without seeing the native kiwis. The Kiwi Birdlife Park offers the best chance to see these cute little birds, but they are not the only ones here, there more than 30 species living in this park. Coming here is one of the best things to do in Queenstown if you like cute, colourful and beautiful animals, of which there are many here. 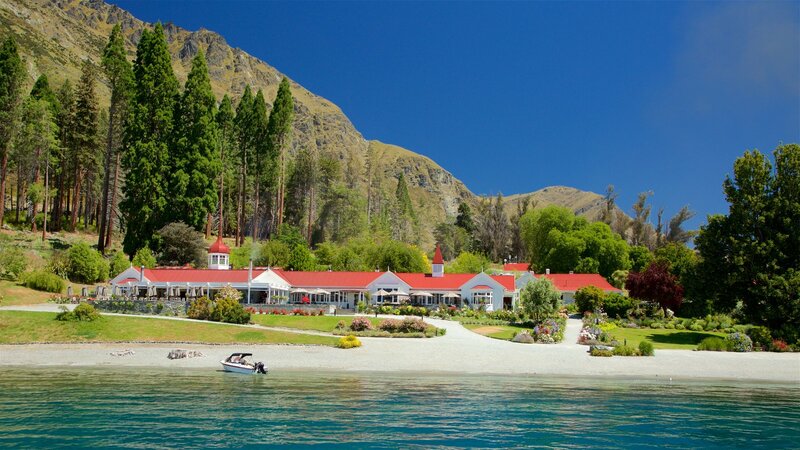 The Walter Peak High Country Farm offers a delightful and charming experience with its beautiful location among the mountains and Lake Wakatipu. You can take a tour, watch sheepshearing demonstrations, feed farm animals, enjoy an outdoor barbecue lunch or even an afternoon or morning tea. If you have to wait or you have the time then you can take a walk the gardens or anywhere around the farm and see all the beauty it has to offer. As a region known for its beauty, one of the best ways to appreciate it is by seeing it from the sky. What better way is there for that than Skydiving? Although it takes a great amount of courage to jump out of a plane, it’s a thrilling and awesome experience, especially the very first time you try it. 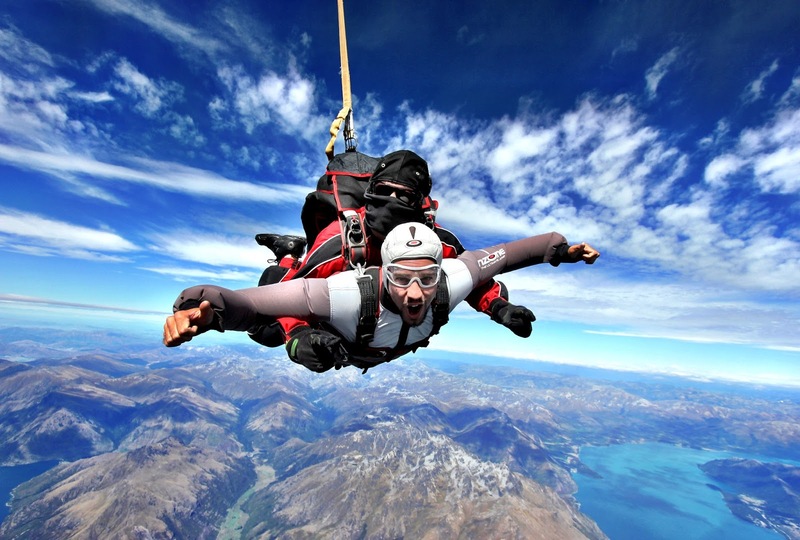 There are many operators who can take you up in Queenstown, so be on the look out, and try to book your jump at least a few days in advance as you won’t be the only one who will want to have a go. 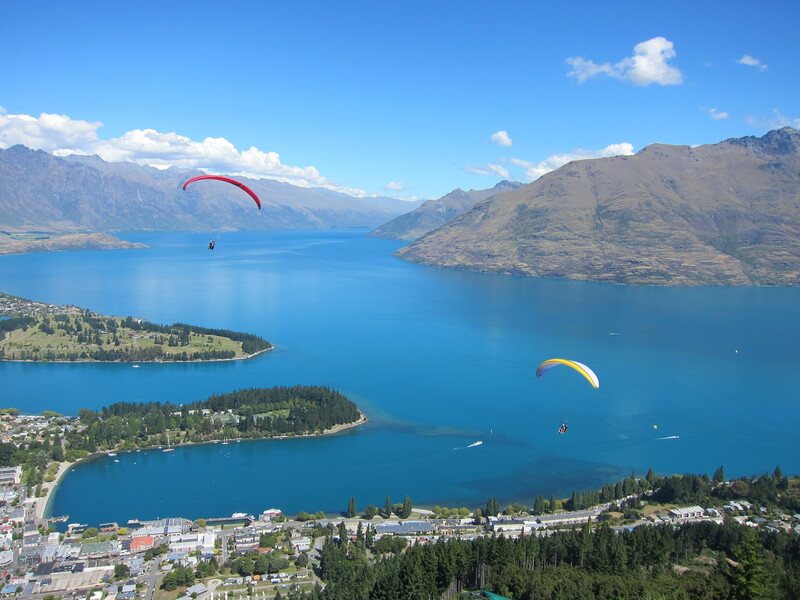 If you want a breathtaking aerial view of Queenstown and the surrounding region without the freefall feeling of skydiving, then consider booking a paragliding excursion. 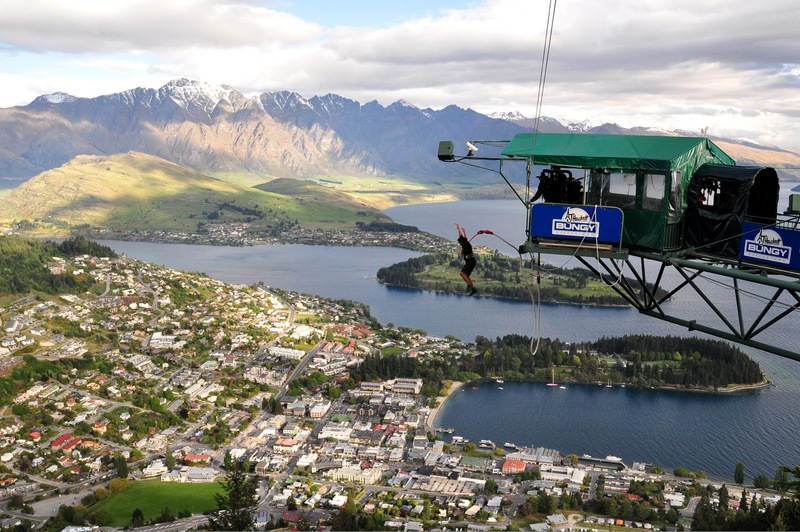 You can catch bird’s-eye views of iconic Queenstown landmarks like the Coronet Peak, Lake Wakatipu and The Remarkables. Those who want a bit more thrill can ask their pilot to do a bit more exciting moves through the sky, while those who want a more peaceful experience can just simply float slowly down and appreciate the beauty of the region. The Ben Lomond Track is a popular hiking trail that leads one to the Ben Lemond Summit, which gives you an excellent scenic view of the surrounding region. The track is a bit steep, so we advise it for those who are sure they can climb all the way up, but the lower areas are just as beautiful if you still want to go. The Shotover Jet is a highly popular and unique experience where you can get on a jet boat with others and ride through the Shotover River and its beautiful curvy canyon. It goes as fast as 85 km/h which is thrilling in such a rocky canyon, to say the least. If you happen to like wine or you are interested in the production of wine, then Queenstown is a great place for you, as there are numerous wineries around the town, many of which you can visit and take a guided tour around the facilities and even taste different kinds of wines. While it’s not in Queenstown directly, the Milford Sound can easily be reached from the town, and it’s definitely worth checking out. The Milford Sound is perhaps the most famous fjord in New Zealand. You can pass through the Southern Alps, see waterfalls and glacial valleys, beautiful, clear rivers and much more. Taking a camera with you is even better, as you will be able to take some truly breathtaking photos. Horse riding is another popular activity in Queenstown, as it can make for a pleasent experience. Riding with your friends or family through the beautiful mountains and next to the wonderful lakes and rivers is a great way to enjoy the scenery, and especially so if you are tired of all the hiking and walking through the town. 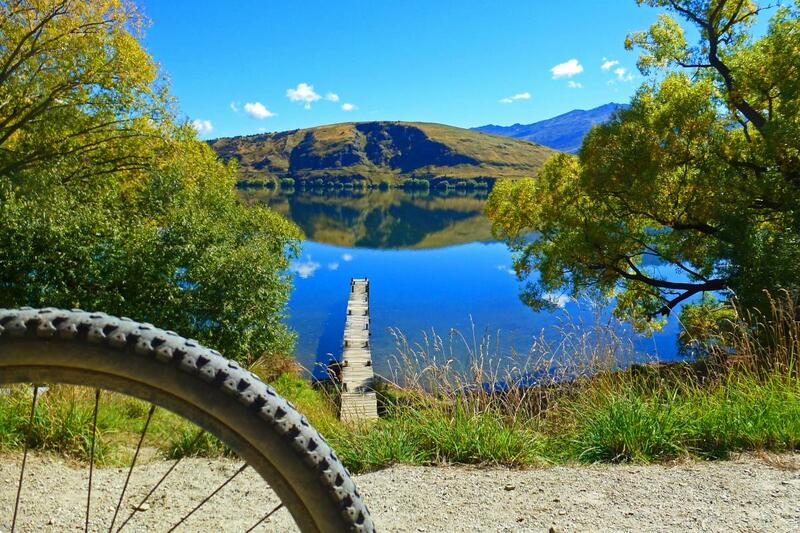 The Queenstown Trail is a popular cycling and walking trail which goes through and along several key landmarks and regions around Queenstown, Arrowtown and Gibbston. You can rent a bike or just walk around the very long trails, and see countless beautiful rivers, forests, plains, mountains, bridges and much more. Skippers Canyon is a historic and scenic gorge, around 22 kilometres in length and a few kilometres away from Queenstown. Driving or cycling through the beautiful canyon offers a great experience as you can see many different scenery, including bridges, the canyon itself and long rivers. 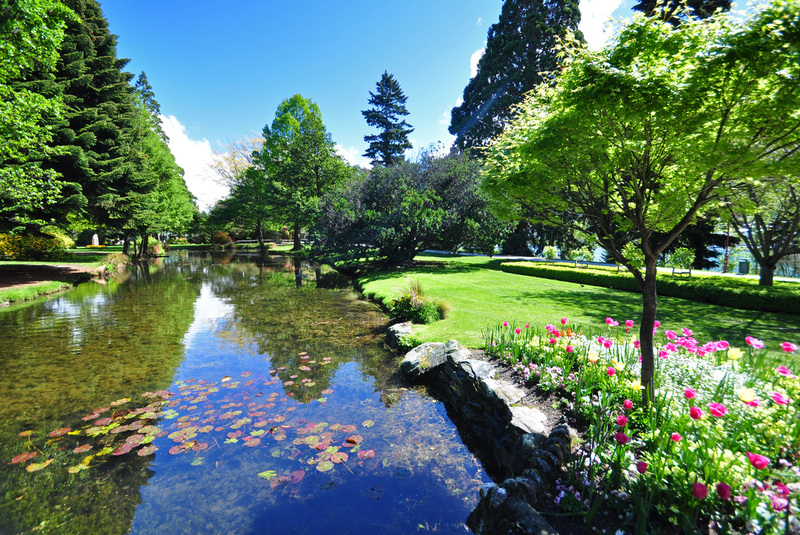 The Queenstown Gardens is a botanical garden which contains a variety of exotic and native trees and plants, as well as a large pond and a range of facilities, including Tennis, Lawn Bowls, Skate Boarding, BMX Biking, Skating, Disc Golf and Ice Skating/Ice Hockey. The variety of activity one can do in this beautiful garden is astonishing. The Underwater Observatory is located at the piers of the town. Just like its name suggests, you can go underwater an see just how many exotic and interesting animals live in Lake Wakatipu. 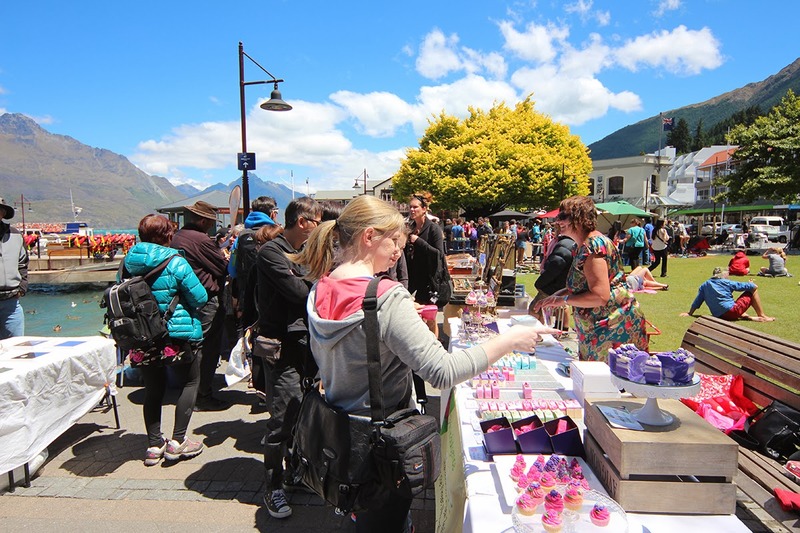 The Queenstown Arts and Crafts Markets is an excellent place to see the creative minds of the people living in New Zealand, as the artists bring out their works and wares every saturday near the lake.